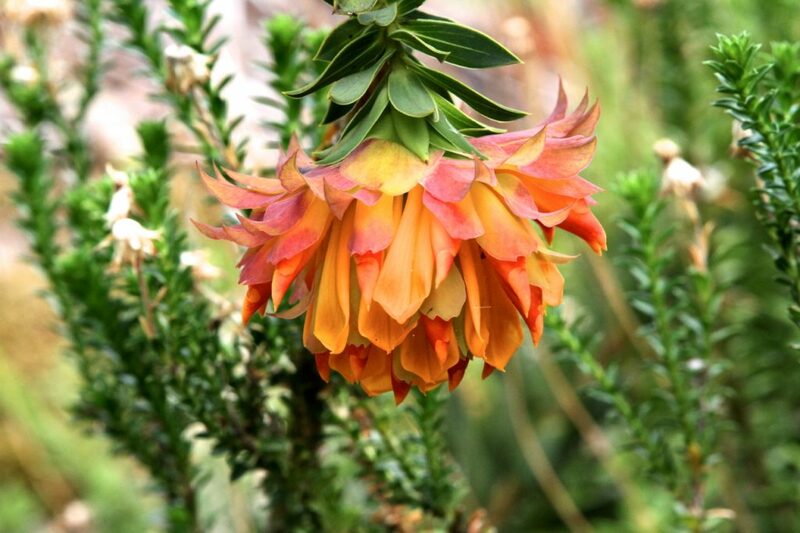 It is a shrub growing up to 1 metre in height, in the lowland fynbos of the southwestern Cape. It bears nodding heads of up to 15 to 17 heads of spectacular dark orange to brown nodding flowers, hence the name skaamblom or in english shy flower. They are endangered by alien plants and too many fires, they are pollinated by the sunbirds and especially the orange breasted sunbird.